Bulldog is a dog breed developed to fight bulls. The original bull breeds were fighting dogs: tough, courageous, and tenacious. They fought bulls and, later, bears and other ferocious animals, even other dogs. However, in the mid-1800s, blood sports were declared illegal in England, and the bull breeds, including the Bulldog, faced extinction unless they could change, and change they did. 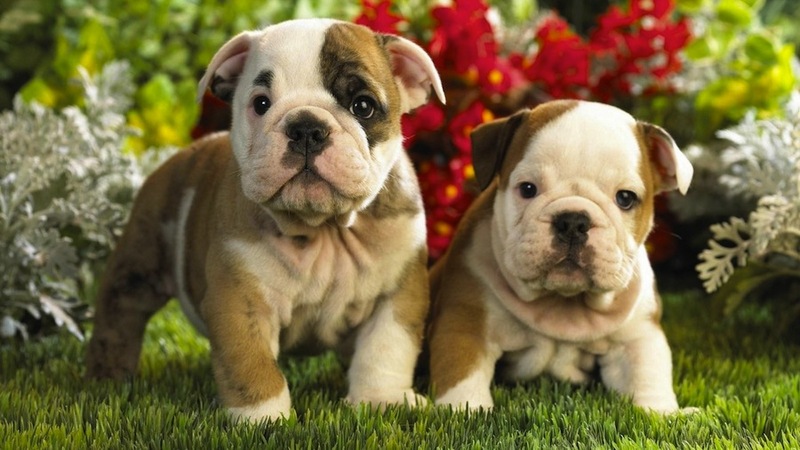 Bulldog breed fanciers bred for traits other than aggression and produced the breed we know today. The Bulldog is quite lazy – an ideal pet for a lazy owner ! The Bulldog (or English Bulldog) is a medium-sized dog, with a heavy body and large head on sturdy legs, standing 12 to 16 inches tall and weighing 40 to 50 pounds. The chest is broad and deep, with the front legs set wide apart. The muzzle is very short, the eyes are round, and the ears are set high on the head. The tail is straight or screwed. The coat is short and fine and may be one of several colors, although red brindle is preferred. 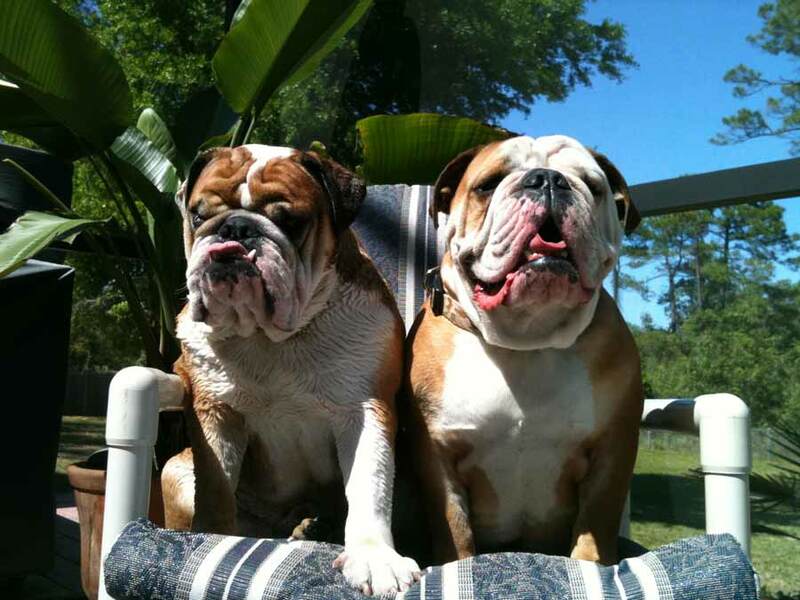 The Bulldog coat should be brushed a couple of times each week with a soft bristle brush. The wrinkles of the face need to be cleaned daily to prevent dirt build-up and skin problems. Some dogs’ faces may need to be washed after every meal. The Bulldog is not a very busy dog. She will enjoy a walk daily and needs some playtime each day, as obesity can be a problem in the breed, but she is also a great lover of comfort, and the sofa cushions will call to her. Early training is important, as Bulldogs can be quite powerful as adults. But the breed has a gentle and stable temperament and, with training, these dogs rarely try to get into trouble, although puppies can be mischievous. 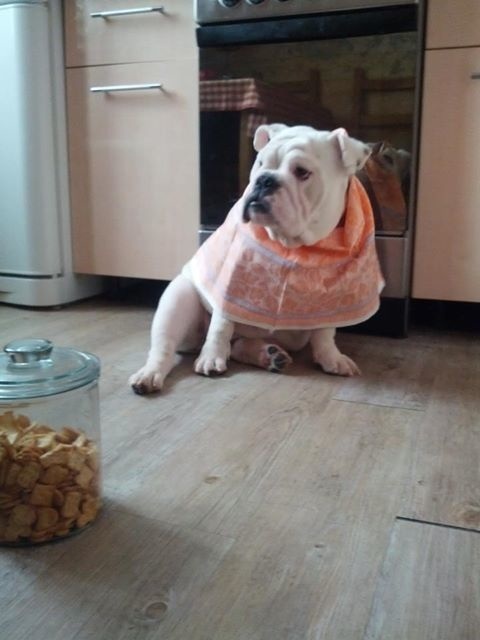 Living with Bulldogs can be a challenge. They snort, snore, and grumble; they drool and most have trouble with flatulence. They are affectionate with children and are usually very good with other pets. Some males may challenge other male dogs. They do not breathe well in hot, humid weather. They are prone to many health problems, including allergies, breathing difficulties, and reproductive problems. Note: Upload only Bulldog picture or your picture with Bulldog below - spammer's ip may be blocked. Despite his gloomy mug, the English Bulldog is one of the most amiable of all breeds. 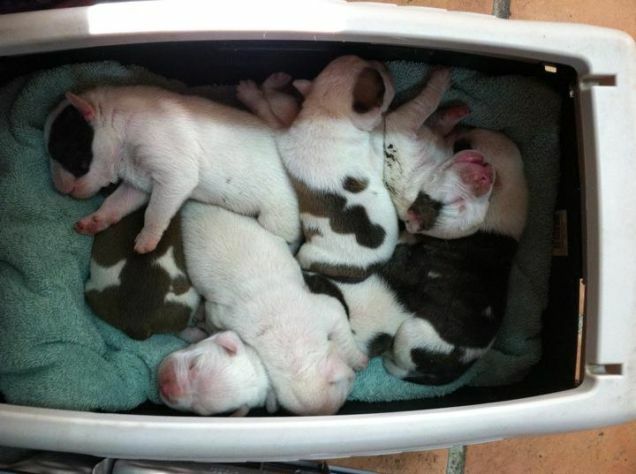 Bulldog puppies are frisky, but adults are quiet and rather phlegmatic, spending much of the day snoring on the sofa. They do need some exercise to stay fit, preferably walks in cool weather. Though not a barking watchdog, his blocky build and odd, rolling, shuffling gait give intruders pause. It takes a tremendous amount of serious teasing or threatening to provoke this sweet-natured breed, but once aroused, he can be a force to reckon with. His tenacity and resolve mean that it’s difficult to change his mind once he decides to do something. Though stubborn, the English Bulldog is surprisingly sensitive, remembers what he learns, and responds well to patient, persistent training that utilizes food motivation. Jerking this breed around accomplishes absolutely nothing. Bulldogs are completely adorable. But I feel so conflicted about bulldogs since I see all the problems the breed has. In our animal hospital, we regularly perform c-sections on this breed. The newborns have heads so big they literally cannot pass through their mother’s birth canal !